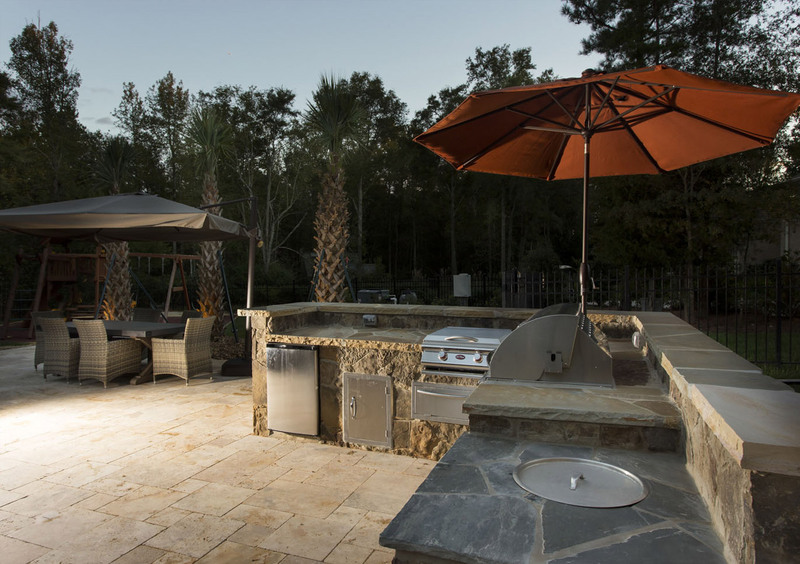 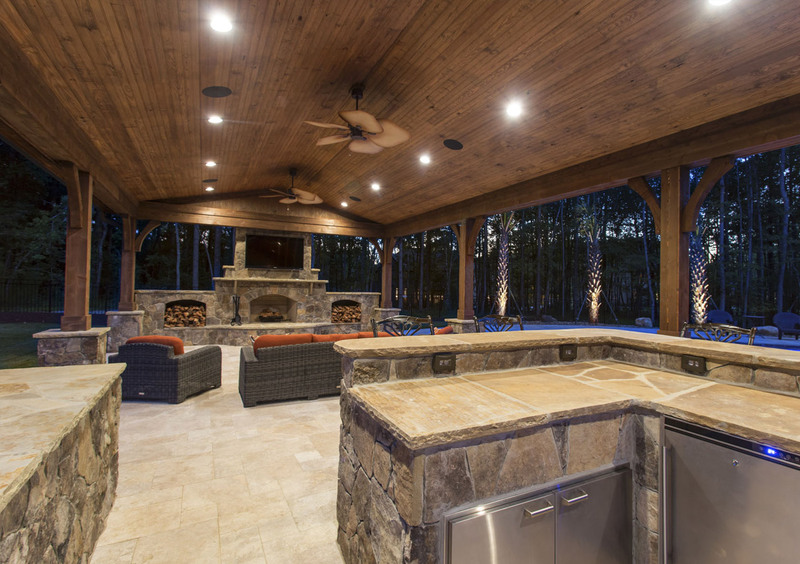 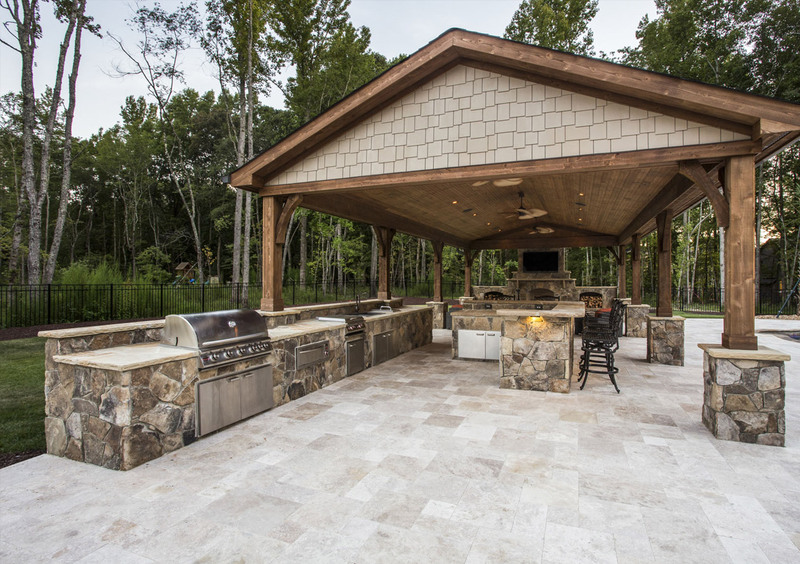 Serve up unforgettable meals to your family and friends in your custom outdoor kitchen. 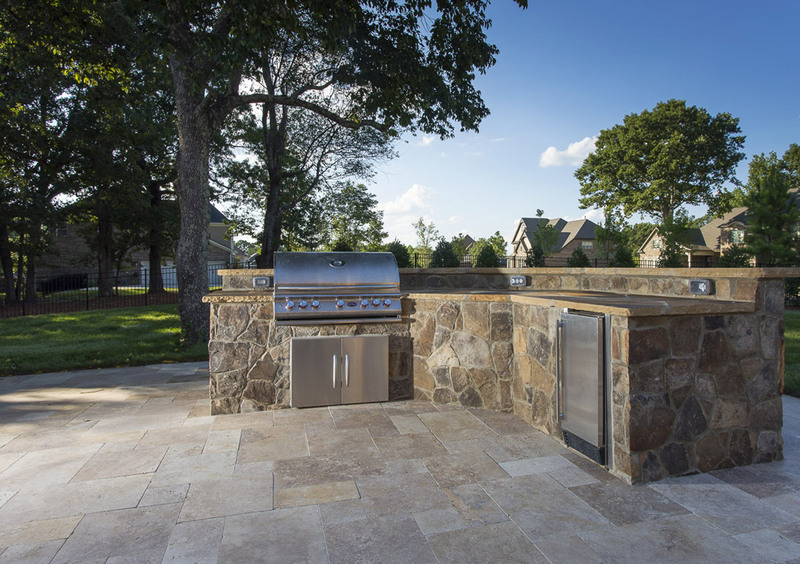 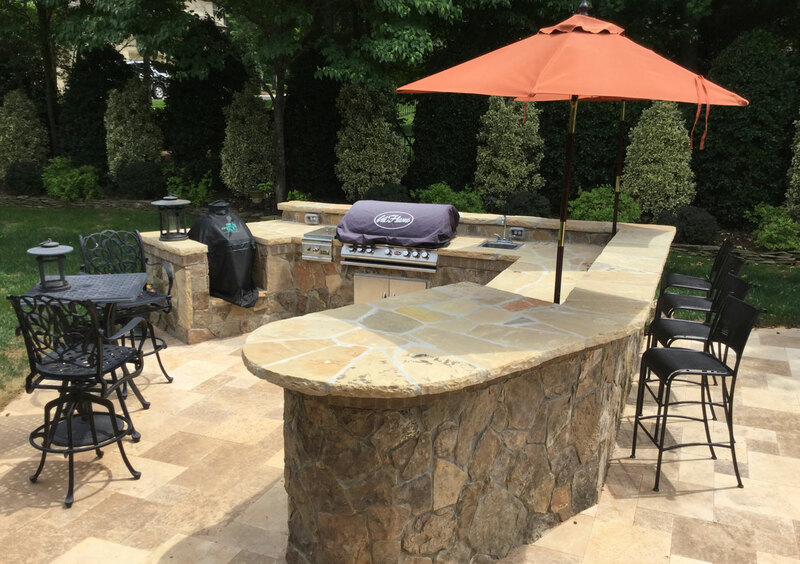 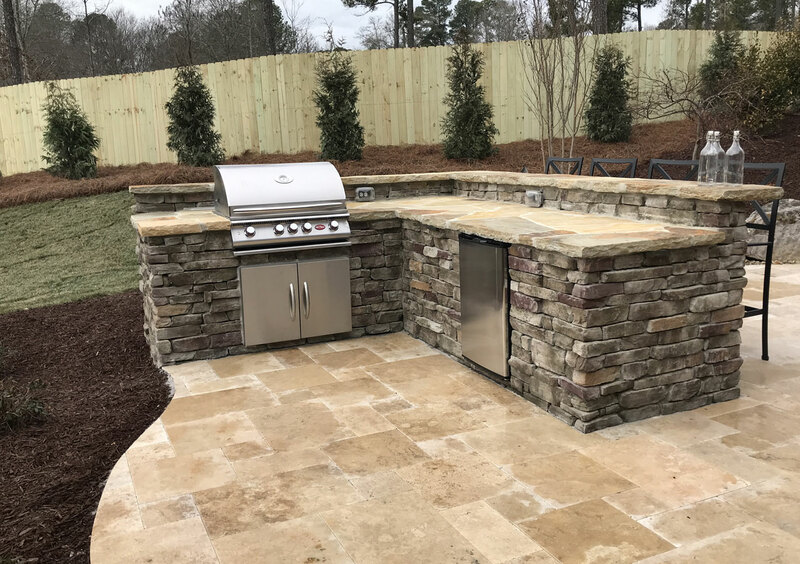 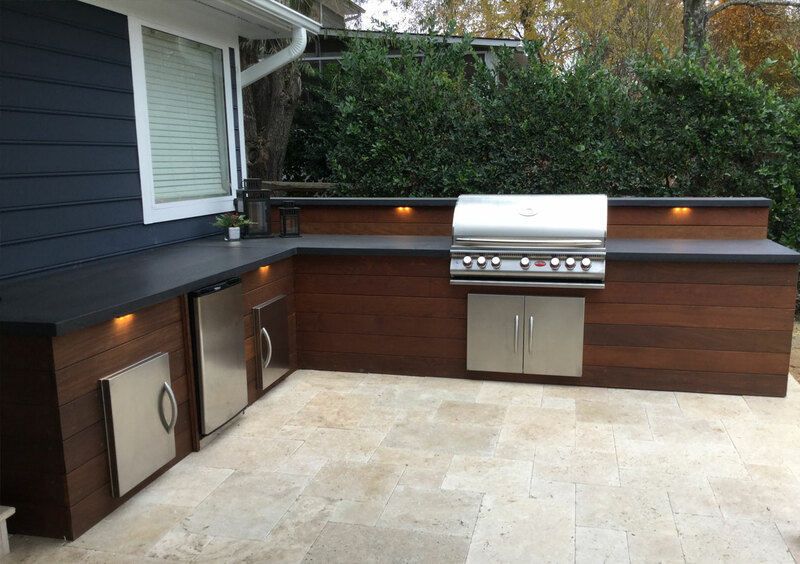 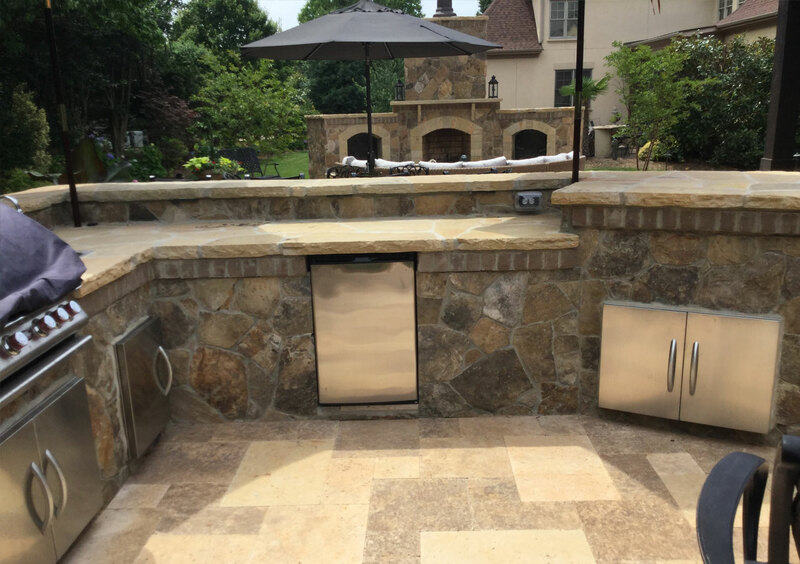 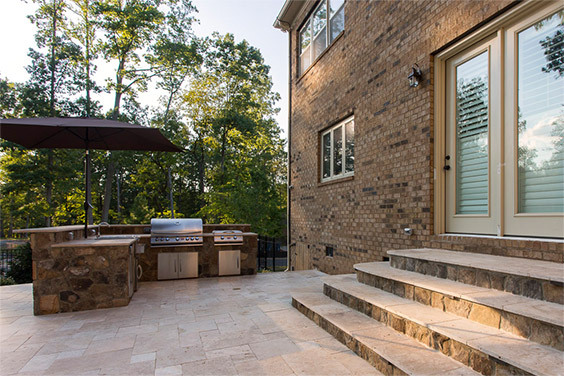 Whether you want to flip burgers on an oversized grill or cook up entire meals on a full stove-top range, we can build an outdoor kitchen that suits your needs to perfection. 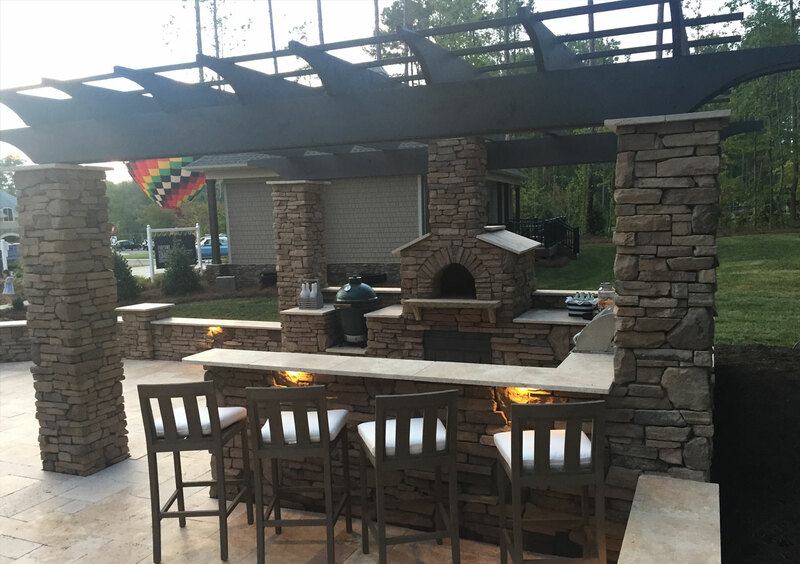 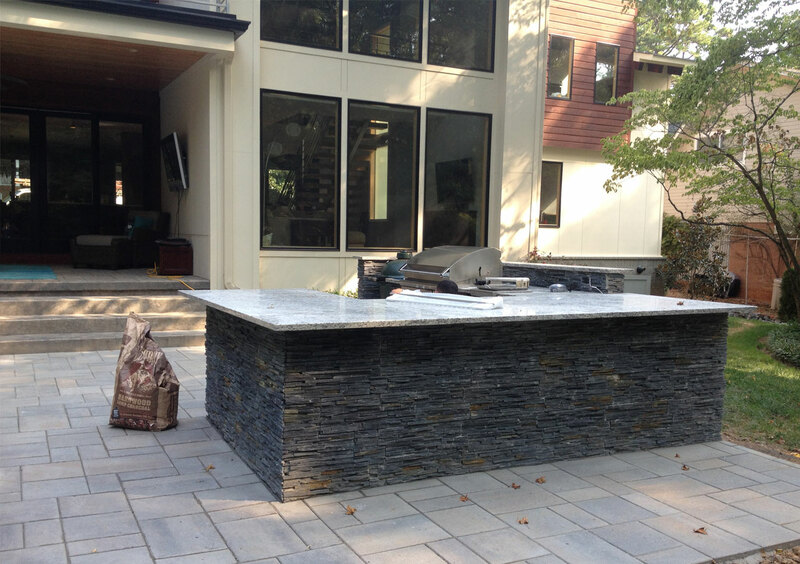 Our outdoor kitchens can be as simple or elaborate as you want. 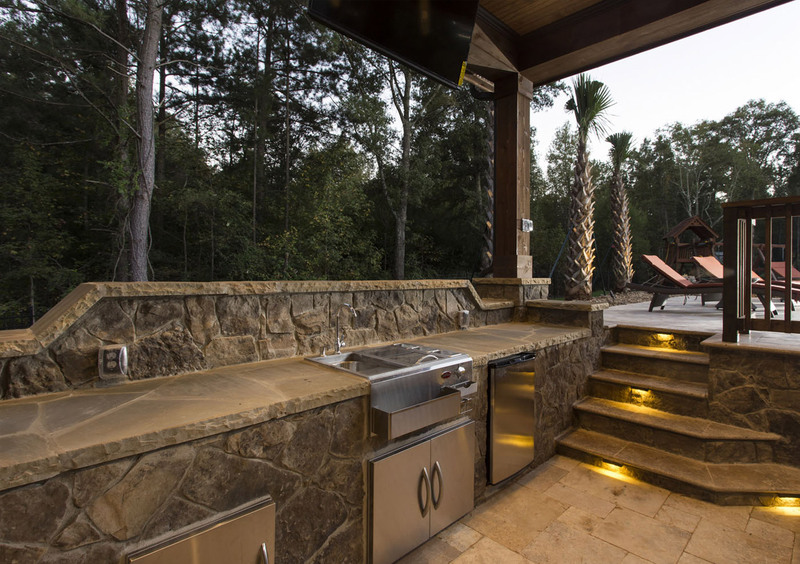 We’ve created open-area grilling stations, cabana-covered grills, and fully-roofed outdoor kitchens. 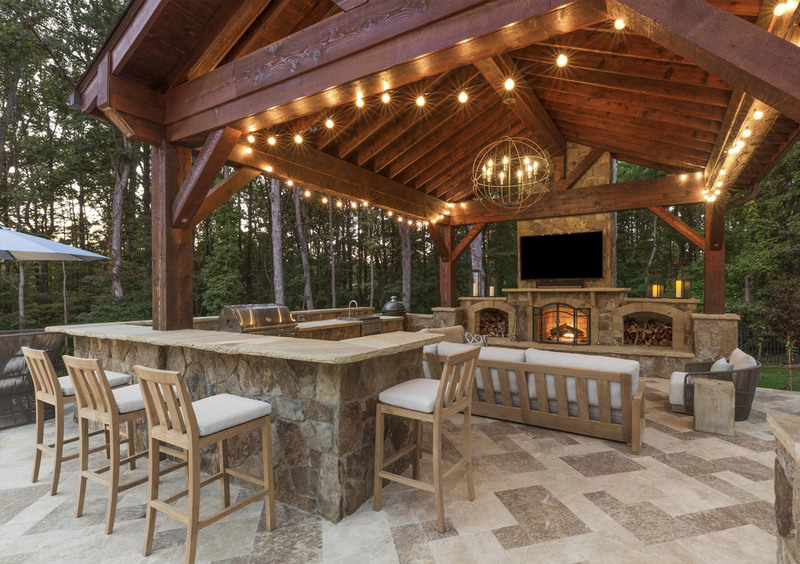 When you bring the idea, our expert design team creates a palette of colors, materials, and equipment to choose from, so you can enjoy an expert style that's built 100% to your needs.